Read this report and others in the latest Mt. Laurel Township Police Report. At 9:38 p.m. on April 19, Mt. Laurel Police responded to a residence on the 200 block of Hope Court for the report of a large group of people fighting. It was reported that a man involved in the dispute pointed a handgun at another person. The investigation revealed that a similar crime involving a gun being pointed at an individual had occurred the night before. Investigating officers recovered a 9mm handgun, marijuana, and drug paraphernalia. A male, age 28 of Mt. Laurel, was charged with possession of a weapon for an unlawful purpose, unlawful possession of a handgun, possession of a defaced firearm, possession of a large capacity magazine, and aggravated assault (pointing a firearm at another.) He was committed to the Burlington County Jail. A male, age 32, of Camden, was charged with aggravated assault (pointing a firearm at another) and hindering his own apprehension by providing a false name to officers. He was committed to the Burlington County Jail. A female, age 39, of Mt. Laurel for possession of drug paraphernalia and released pending a court hearing. A 17-year-old male from Mt. Laurel for possession of marijuana with the intent to distribute and possession of marijuana. He was released pending a court hearing. At 12:48 a.m. on April 21, Mt. Laurel Police conducted a motor vehicle stop on Hartford Road near Route 38. During the stop, officers arrested a male, age 63, of Delran. He was charged with driving while intoxicated and possession of more than 50 grams of marijuana. He was released pending a court hearing. At approximately 12:10 a.m. on April 20, someone stole an iPad and a Samsung computer tablet from an unlocked vehicle on the 200 block of Country Lane. At 3:30 p.m. on April 20, Mt. Laurel Police responded to the report of juveniles entering a vacant residence on the 5100 block of Church Road. The investigation revealed the residence had been entered illegally. At 2:47 a.m. on April 19, a resident on the 5600 block of Adelaide Drive reported that he saw the headlights of his vehicle turn on and shine into the window of his residence. When he looked outside he saw a tall thin man wearing a black hooded sweatshirt in his vehicle. The suspect fled on foot after stealing cash from the unlocked vehicle. At approximately 10 pm. on April 14, a victim reported he accidentally left his keys on a sink in the restroom of Miller’s Ale House on Fellowship Road. The victim discovered someone entered his vehicle in the parking lot using his lost keys. A wallet and credit cards were stolen. Someone then fraudulently used the stolen credit cards. Between April 14 and April 15, someone purposely broke a side mirror off of a vehicle parked on the 300 block of Delancy Place. Between 4:50 a.m. and 5 a.m. on April 15, someone cut a lock on a storage container behind a business at 520 Fellowship Road. Nothing appeared to have been stolen from the container. 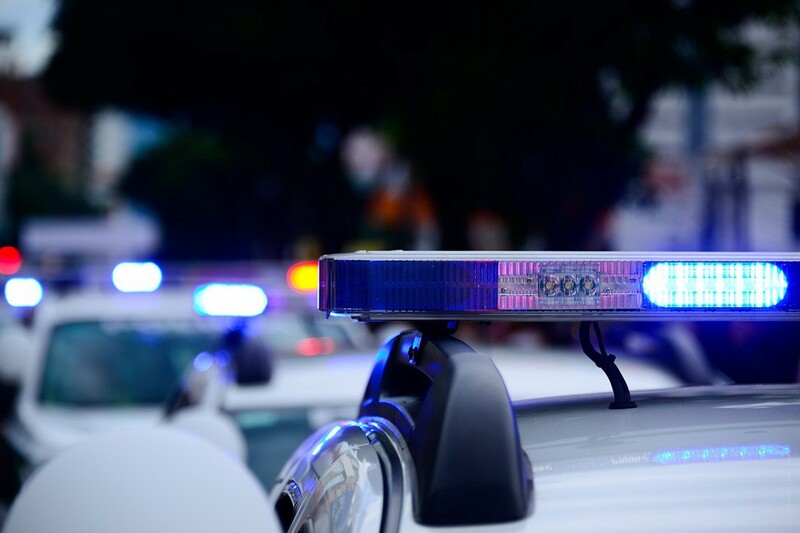 Between April 14 and April 16, someone entered an unlocked shed at a residence on the 900 block of Pleasant Valley Avenue and stole approximately $100 worth of copper. At 7:40 p.m. on April 15, Mt. Laurel Police conducted a motor vehicle stop on Larchmont Boulevard near Narberth Drive. During the stop, officers arrested a male, age 36, of Mt. Laurel. He was charged with possession of less than 50 grams of marijuana and possession of drug paraphernalia. He was released pending a court hearing. At 6:44 p.m. on April 15, Mt. Laurel Police responded to TJ Maxx on Centerton Road for a shoplifting report. Officers arrested a male, age 57, of Willingboro, for shoplifting $329 worth of merchandise. He was also wanted by the Burlington County Sheriff for probation violations. The male was charged with shoplifting and committed to the Burlington County Jail. On Oct. 18, Mt. Laurel Police responded to two residential burglaries on the 500 block of South Brentwood Drive. A 12-year-old girl was home alone during one of the burglaries and she scared the burglar off. The investigation identified the suspect in the crimes as a male, age 27, of Hainesport, and an arrest warrant was issued charging him with burglary. On April 15, the male was turned over to the Mt. Laurel Police from the Middlesex County Jail where he was being held on unrelated charges. The male was committed to the Burlington County Jail. At 9:55 p.m. on April 14, Mt. Laurel Police conducted a motor vehicle stop on South Church Street near Fellowship Road. During the stop, officers arrested a male, age 30, of Camden. He was charged with driving while intoxicated and released pending a court hearing. Between April 13 and 14, someone entered an unlocked vehicle parked on the first block of Primrose Court. Cash was stolen.